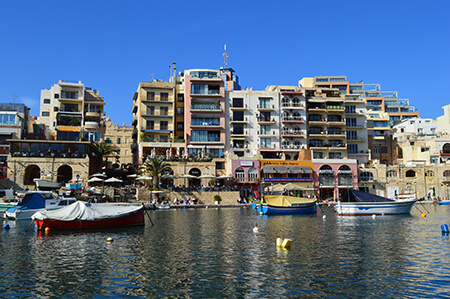 Travel guide to Malta provides you with hints of what Malta is like during the different seasons including main activities and attractions during each season. You are surely asking yourself this question. When is the best time of the year to travel to Malta? What do you exactly wish to do? This is the ideal time to visit for those who love the transition of the weather to summer, with not too much heat, rain or wind. However the sea temperature is still cold and not ideal for swimming although on sunny days one can spot the odd local and a few tourists swimming. Sunbathing is more popular at this time. If you do wish to be in Malta in very hot weather, this is the ideal time before the heat kicks off. It is the time that the number of tourists increase due to the favorable weather conditions. It is also the time where feasts start to be celebrated in villages both in Malta and Gozo. This is something that all foreigners appreciate as they see something that is typically Maltese. It is also beautiful to go to the beach, not for swimming as the sea temperature is still cold, but for sunbathing. Spring is the best time for walks in the country side where green vegetation is still abundant with splendid flowers everywhere. Activities range from International fireworks festival, to Celebration of Catholic feasts of Good Friday and Easter Sunday as well as local council village festivals. By now the hot weather is gearing up. School exams will be almost over by end of June. By now the Maltese summer fever starts. Everyone is excited to start organizing bar-be-ques on the beach, sunbathing, and enjoying relaxed evening walks along the various promenades. Local feasts are celebrated with extravaganza. The Maltese also like travelling a lot. 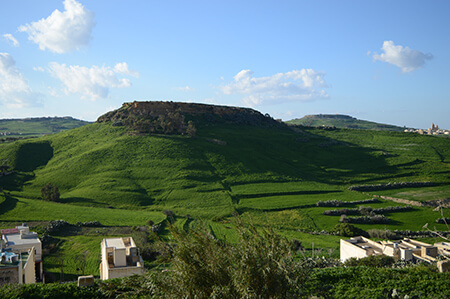 They also go a lot to Gozo for a vacation especially if a public holiday falls at the start or at end of the weekend. It is the peak of the tourist season. It is best for sunbathing, beaches, outside entertainment, evening promenade walks, day trips to Gozo, the Blue Lagoon in Comino, open air discos and ample water sports. Activities range from local village religious feasts with excellent fireworks displays, local council village festivals, Isle of MTV, Malta Jazz festival and international concerts with the participation of international artists. As well as local beer and wine festivals. Autumn starts on the 22nd September. Schools start again last week September. September temperatures start to be slightly lower than those of August, but still summer. Some bad weather is normally expected during this month, but, after that, very hot days extending well into the month of October.Usually still wearing summer clothes with the occasional cardigan for the evening. Late autumn is very much enjoyable for walks in the countryside. Full swing preparations for Christmas start early and you can already start seeing decorations first days of December. Christmas and new year is very close and the Maltese love these festivities. There are also some local feasts which can be visited. The weather starts getting fresh but do not be amazed if it is still hot in November. Whilst the temperatures are already low in most European and other north and eastern countries, ours are still fairly high. 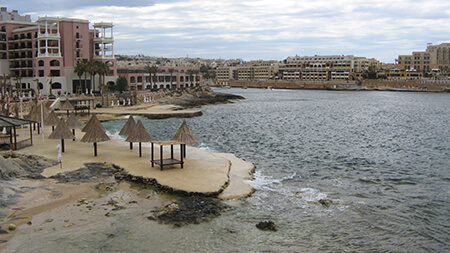 Travel guide to Malta hopes to have helped you find the right information. Hope you will be with us soon.